I hope you all had a wonderful holiday weekend filled with family and friends. We sure did, and now we’re back and refreshed and ready for some great upcoming events here at Gum Tree and around town! 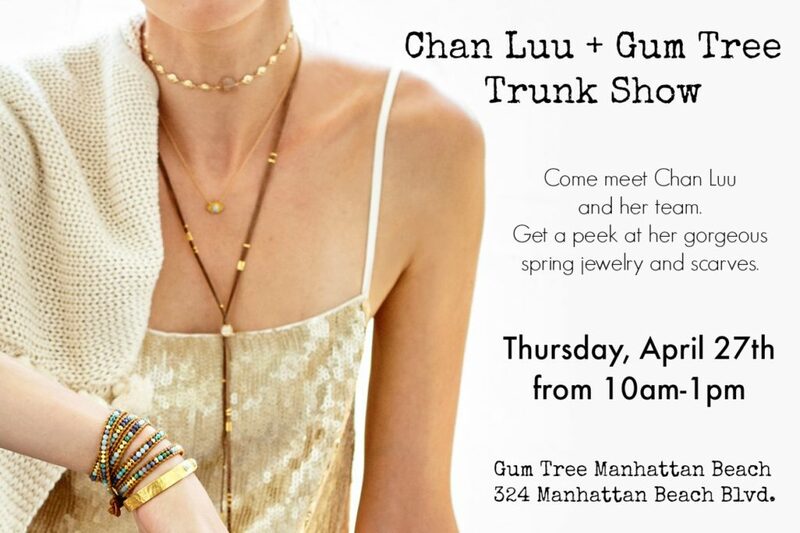 Mark your calendars ladies, Chan Luu and her team are coming back to Gum Tree! This time we’ll welcome Chan at our new Manhattan Beach shop…they will be bringing lots of beautiful merchandise, and we’ll raffle off a special piece too! Hope you can join us next Thursday, April 27th from 10am-1pm. 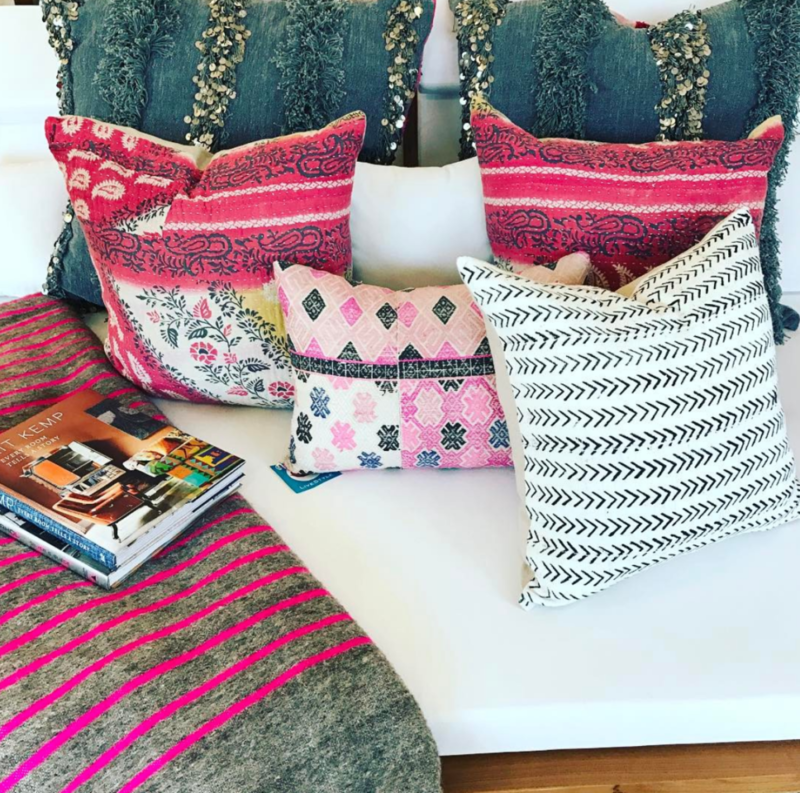 Join us on Wednesday, May 10th from 5-8pm when we welcome the fabulous Cindy Ciskowski of House of Cindy and all her amazing pillows and rugs! This weekend…it’s the Downtown Manhattan Beach Sidewalk Sale!!! Friday, Saturday and Sunday – We’re open 10am-6pm and we’ll be getting in on the action with treats and deals and more. This Saturday, April 22nd from 11-4…It’s an Earth Day Celebration at Polliwog Park. It’s the 10th Annual Spyder Surf Fest on Pier Plaza in beautiful Hermosa Beach! Live music, fashion show, even meet some action sports stars.